Do you know about Rajyoga? Here is we are explaining about Gajakesari Yoga, Budhaaditya Yoga and Panchmahapurush Yoga. How these yoga impact your life, in today's astro upay. 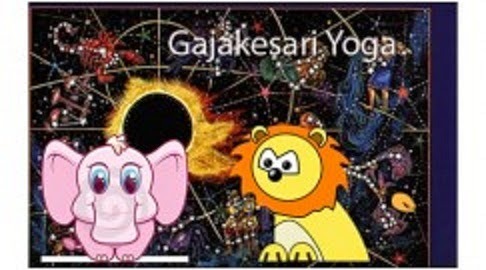 Gajakesari Yoga: It is the biggest and auspicious yoga in astrology. It makes person special. This yoga occurs when Moon comes with Jupiter in the center. If Jupiter is in Cancer sign or Moon is in Taurus sign then person makes history. It is important that Moon or Jupiter does not become weak or bad effects. It is more effective where Jupiter is Strong. You must have to respect your parents and elders. You must have to take care of food habits and conduct. Do not tell lie and avoid non-veg and alcohol. You must have to worship god both times. Budhaaditya Yoga: It is commonly found in horoscope. It has strong effect. This yoga occurs when Mercury and Sun comes together. Person will get respect and money. He has good courage. It works only when it is in center or triangle and Mercury is not downward. You must have to wake up before sunrise. You must have to live life clean. Avoid late night sleep and wake up late in morning. Do not be careless in taking bath. Panchmahapurush Yoga: It become with five important planets of astrology. It gives good prestige and money. This yoga becomes more effective when they are in center or triangle. The planets must be strong. Person should avoid arrogance and over-confidence. Mars: Ruchak is the yoga which occurs due to Mars. It increases self-confidence and courage. Mercury: Bhadra is the yoga which occurs due to Mercury. It gives sharp intelligence and success in business. Jupiter: Hansha is the yoga which occurs due to Jupiter. It make person spiritual, intelligent and self-respect. Venus: Malavya is the yoga which occurs due to Venus. It increases prosperous and royal. Saturn: Shash is the yoga which occurs due to Saturn. It gives success in personal life and career. Extra Remedy: Student must have to keep leaves of morpankh. It increases the concentration and intelligence.